Looking for a no nonsense bookie? European juggernaut Betsson may be just what the doctor ordered! 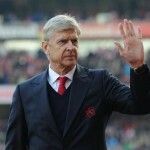 Podcast Episode #54: Who Will Be the Next Manager of Arsenal? Mr. Bookmaker runs down the list of candidates & more in this episode! Podcast Episode #53: Can Liverpool Kick its Way to Glory in Champions League Play? Which of the final four has the best shot to lift the trophy? Mr. Bookmaker chimes in! Will the Franco-German Rivalry Continue in Russia? 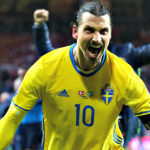 Sportsbook William Hill has the latest on the favorites to take the World Cup in Russia! Can England Bring Back the Spirit of 66? If you are looking for specialty bets on the English national team & more, bookie William Hill is your answer! Podcast Episode #52: Who’s Going Home with the 2018 Nobel Peace Prize? 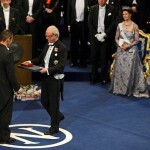 Mr. Bookmaker tackles the odds for the prestigious Nobel among soccer specials in this week’s episode! Podcast Episode #51: Are You Ready to Rumble? The WWE & UFC are front and center in this week’s jam-packed podcast as Mr. Bookmaker unleashes the odds! Are you a football junky? 888sport has got the promos in place to take your love of the game to the next level!